Manitowoc, WI- Our #300 Brass Shut Off has been the standard for durability for many years. The only complaint we have ever received on our heavy duty valve was the weight. Our new #22373 Aluminum Body Shut Off addresses that concern. Utilizing the same engineering, the same design and even the same components, Dramm's New Aluminum Body Valve is just as durable and just as full flow. By manufacturing the body from aluminum, we have been to reduce the weight to 1/3rd of the Brass Valve. 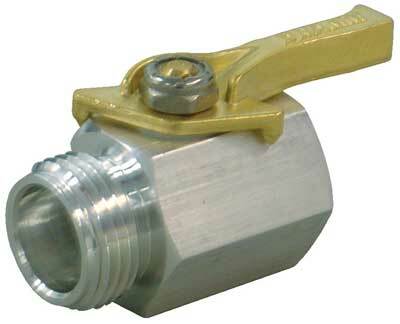 Dramm will continue to manufacture the durable #300 valve in addition to our new aluminum valve. please email us or contact us on the numbers to the left.